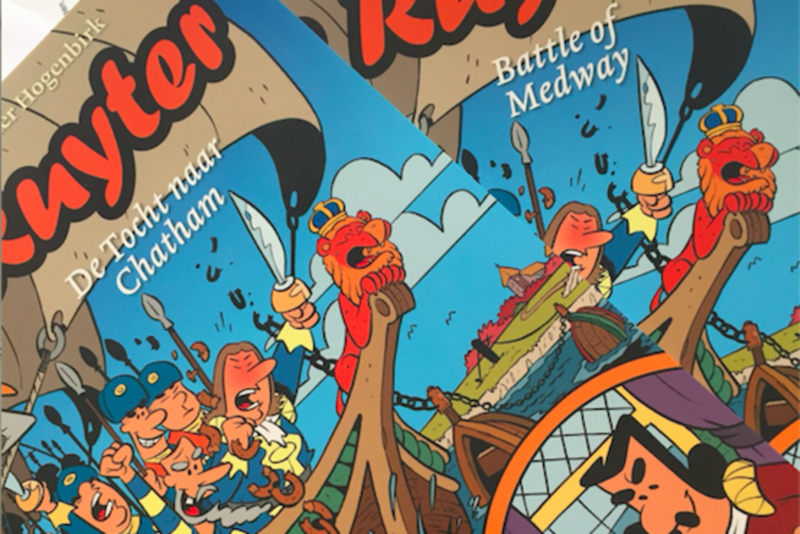 Sponsor our initiative to develop a comic book and provide lectures at schools about the events leading to, the execution of and the resulting peace treaty in Breda after the Battle of Medway. Launched April 18th 2017 the album has a role in the educational program of Rijksmuseum and Dockyards museum. The participating classes can look forward to a challenging competition with a unique prize!!! To book a lecture or order the comic book email our foundation. For price indication see "merchandise" at the top of this page.